“Maybe he had a mental problem”, said Becky, an eighth grader, on her first time reading “in Just-“. So begins a wonderful article by Audri L. Wood describing her classroom teaching Cummings’ poetry to adolescents. 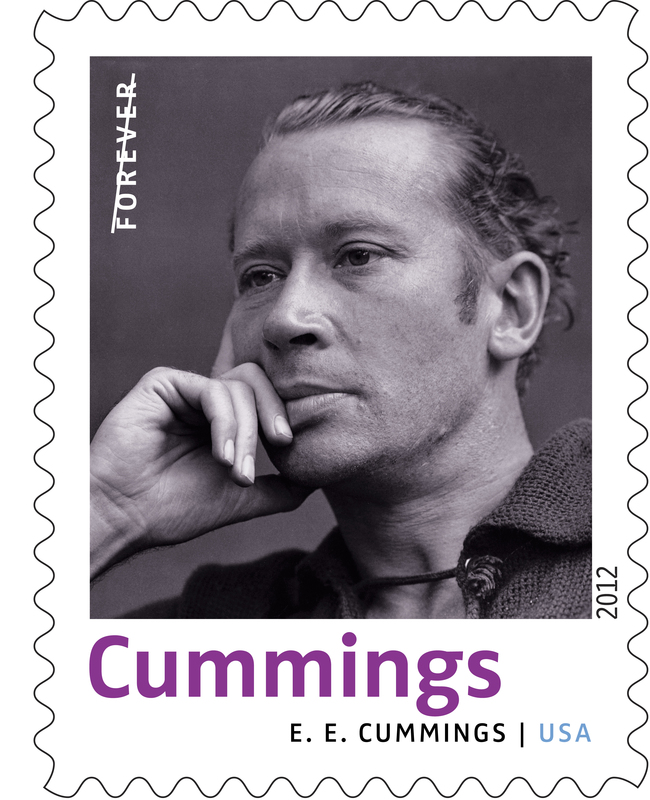 In 2012 the USPS issued a sheet of American Poet stamps commemorating ten famous poets of the 20th century. One of these poets was Edward Estlin (E.E.) Cummings. 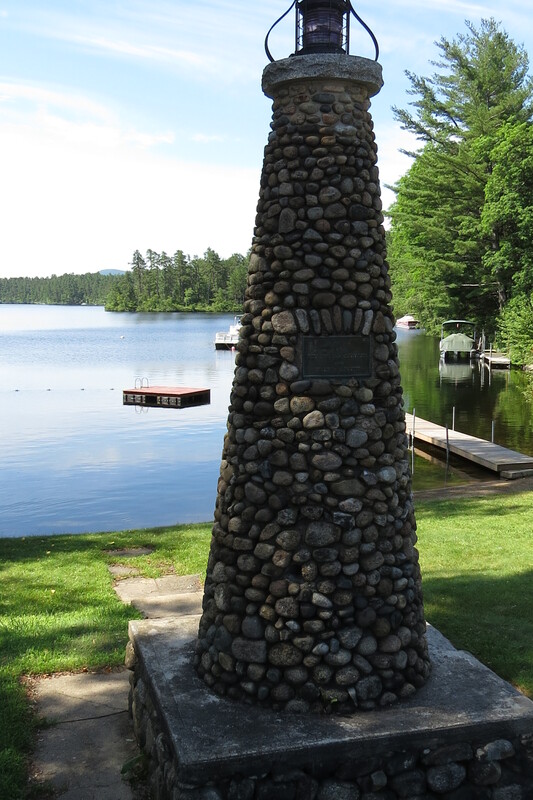 Many current residents of Madison, New Hampshire remember seeing Estlin and Marion Morehouse on their way to and from the Silver Lake train depot, which housed the Silver Lake Post Office. 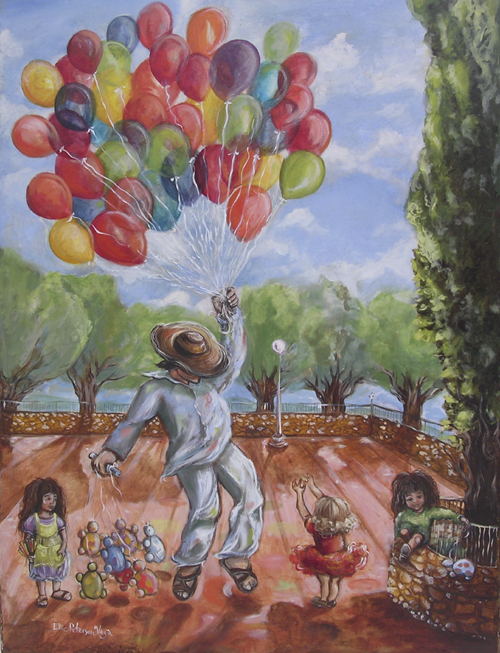 Arriving in his 1929 open top Ford, Marion would drop off and pick up packages, which presumably contained poetry book manuscripts, while Estlin stood by the road and looked out at the lake. He always wore a long driving coat and white gloves. 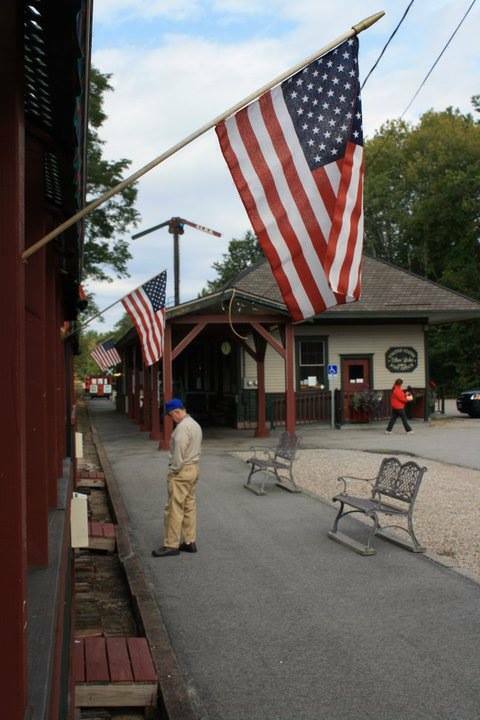 Although the lobby has been re-arranged, the train depot is still the local post office for Silver Lake. 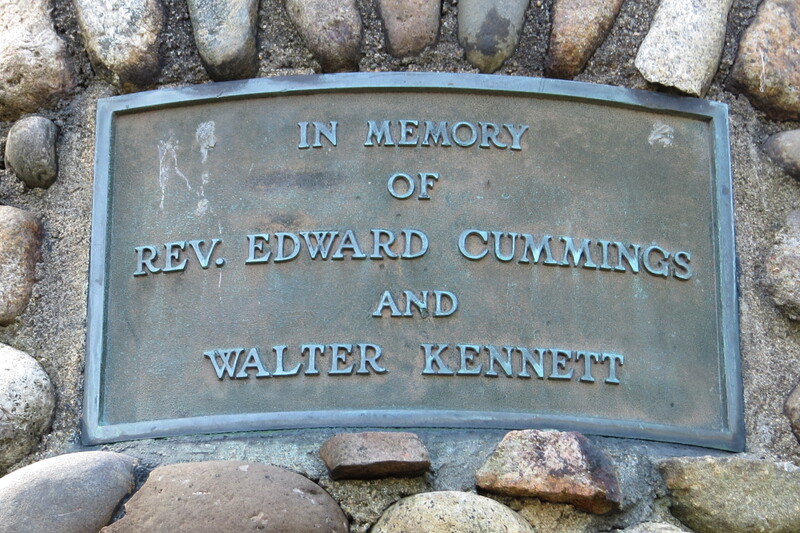 At the head of the lake stands a memorial to the Reverend Edward Cummings, Estlin’s father, and Walter Kennett. More than 200 of E.E. Cummings’ poems have been set to music by the composer Vincent Persichetti and others. 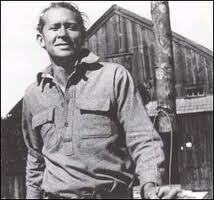 Sam the man, of this poem was Silver Lake’s own Sam Ward. Enjoy this post from the blog “Thoughtful Gestures”. 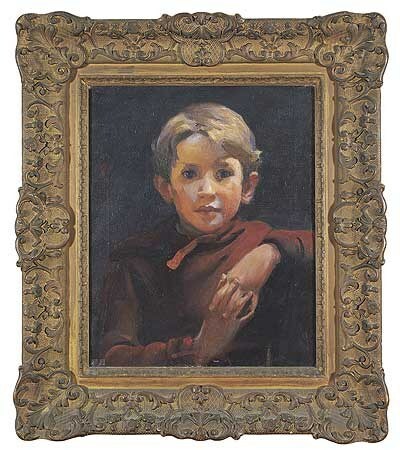 I’ve always wanted to write about “sam was a man” by Vincent Persichetti. I sang it in high school, then conducted it with my women’s choir when I taught high school, and then also conducted it with my community choir and the UConn Festival Chorus in 2009. (Sadly, Festival Chorus had to drop it from the final program due to weather-related rehearsal cancellations.) Every time I do it, I love it more, and I’ve got all these ideas I want to get out in the world. So this is going to be one long post. It’s by e. e. cummings. Sam was a real guy. It’s short: six four-line stanzas alternating with one-line stanzas. 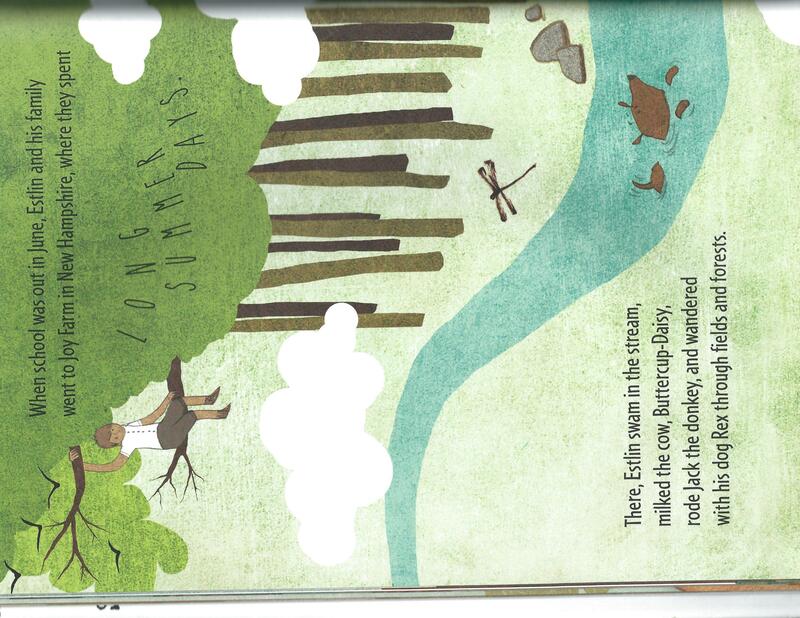 Our new Cummings at Silver Lake website and blog are intended to celebrate the people and places which inspired and informed the art and poetry of Edward Estlin Cummings, known throughout the world of letters as “e e cummings”. The culmination of our efforts will be the Cummings at Silver Lake Weekend July 10 and 11, 2015. Please join the Friends of Madison Library as we open the window on E. E. Cummings at Silver Lake. In the meantime, skip around, check out our site and please let us know what you think. Do you know these people and places? Watch this space for more information about the people and places around Silver Lake which inspired Cummings’ poetry and paintings.